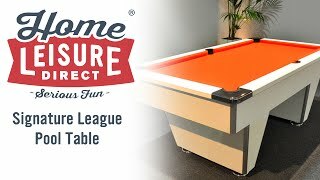 The Champion is a brand new pool table exclusively for our signature range of pool tables: blending contemporary design and competition grade components at a competitive price, making for an ideal table for the home. 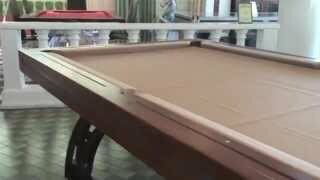 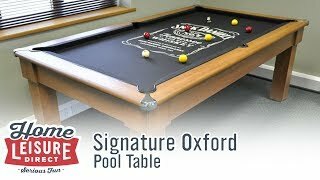 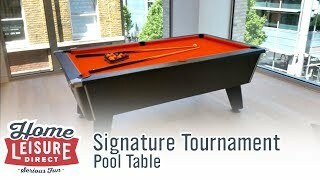 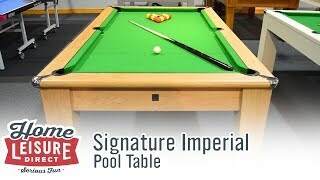 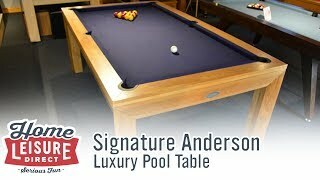 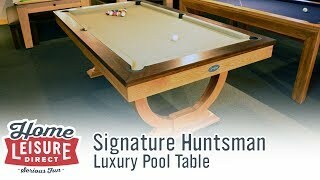 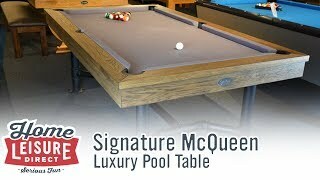 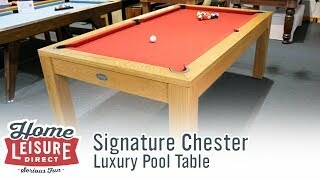 The Signature Champion is a dedicated English-style slate bed pool table exclusive to our new Signature range. 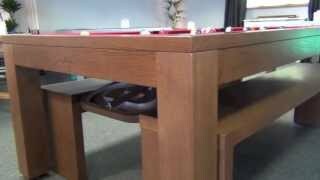 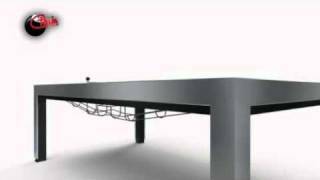 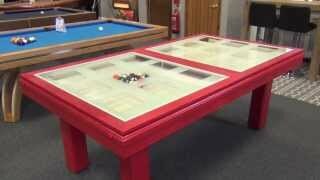 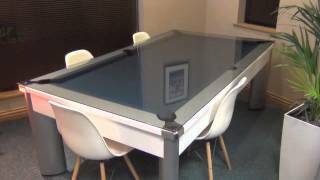 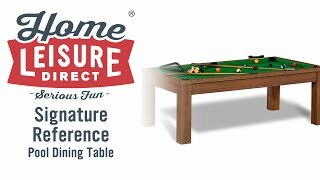 The table is designed by us specifically with the home player in mind. 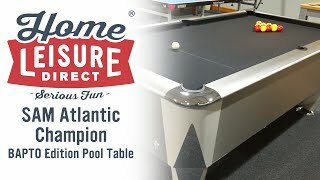 The Champion is available in six or seven-foot sizes and can be finished in a choice of four different veneers: light oak, walnut, white, or black as seen on our showroom model. 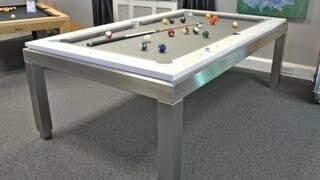 Each Champion also includes special metal chrome trimmings on each corner, as well as on the feet. 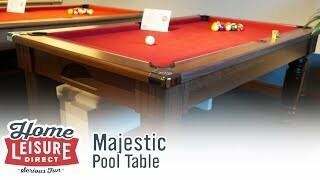 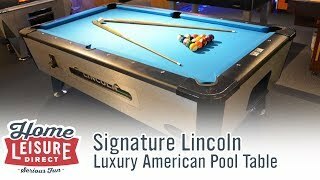 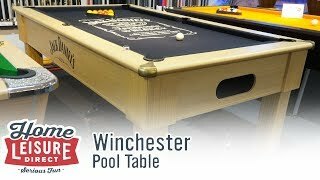 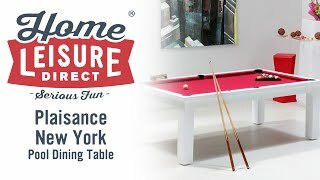 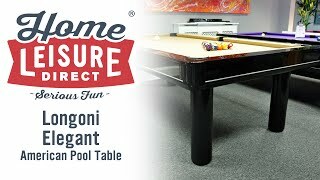 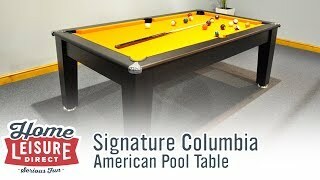 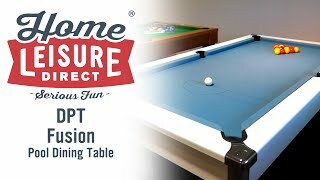 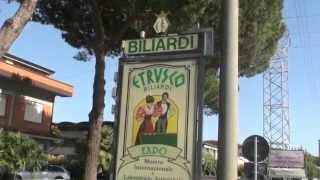 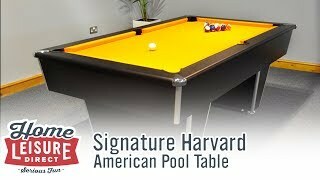 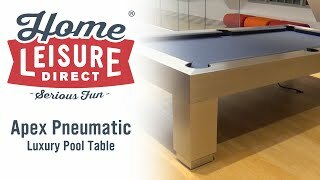 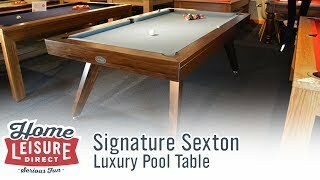 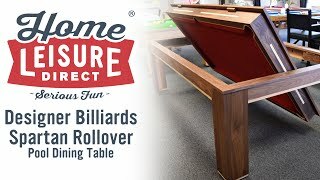 The table's body is reminiscent of pool tables often seen in public locations, making the Champion an ideal choice if you want the table that looks and feels more like a commercial table. 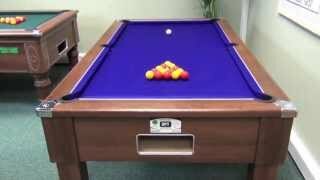 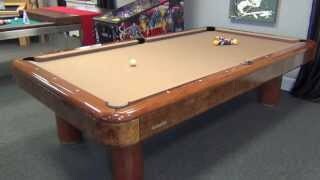 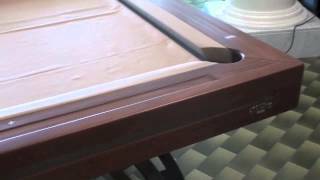 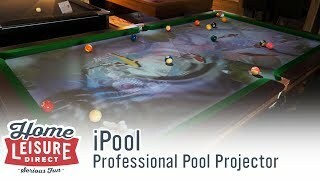 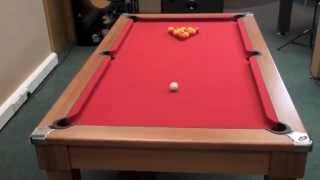 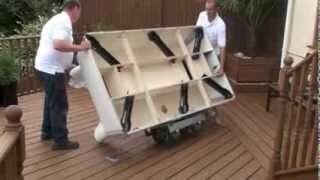 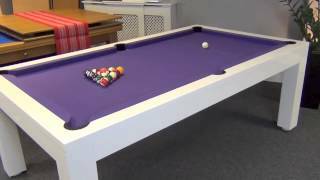 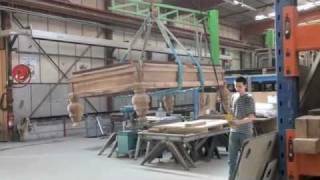 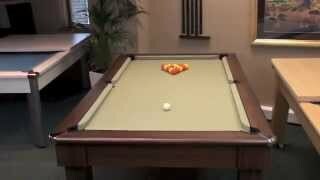 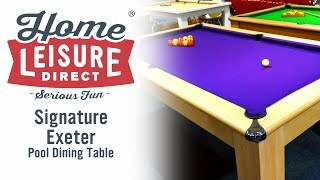 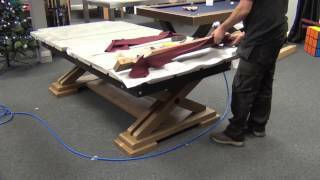 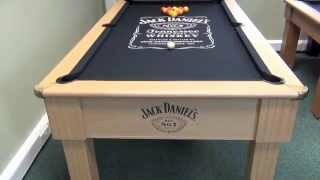 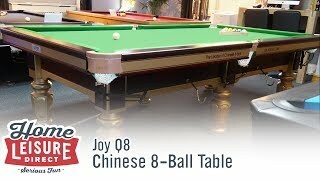 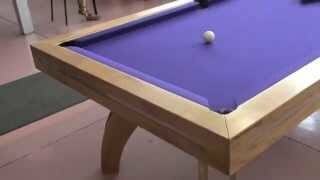 The table includes a ball return channel underneath the playing surface which balls will be delivered to following potting. 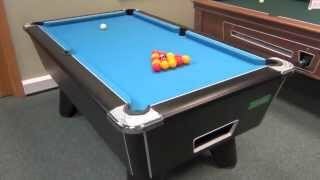 In the Champion, the entire ball return channel has been padded with specialized foam, eliminating the louder impacts normally heard on the ball return. 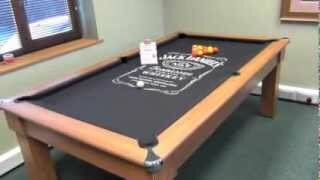 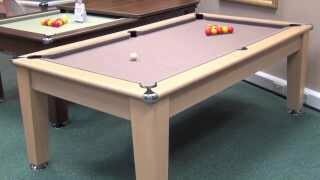 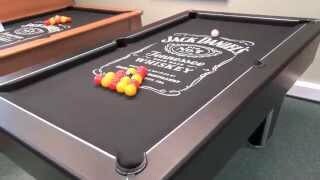 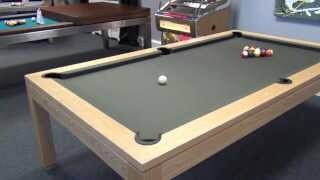 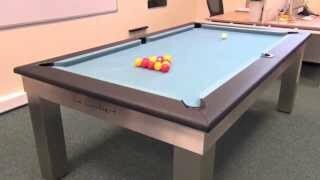 As previously mentioned, the bed of the table is slate, allowing for a smooth and consistent playing surface. 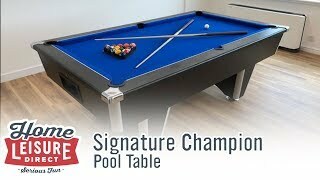 The Champion also has the choice of four standard cloth colors, allowing you to tailor the color of your table to best suit the table's environment. 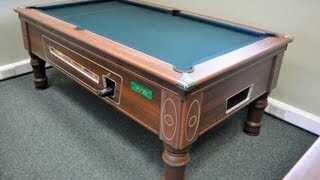 These include blue, cherry red, green and purple. 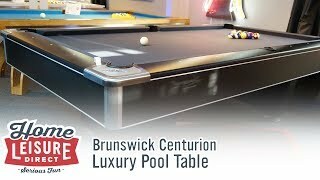 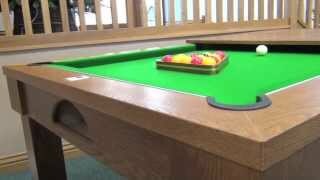 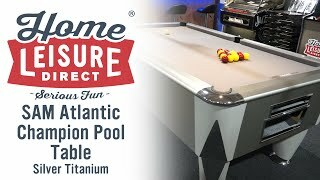 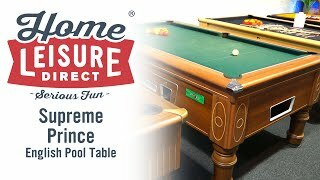 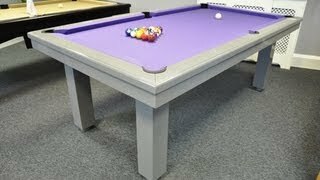 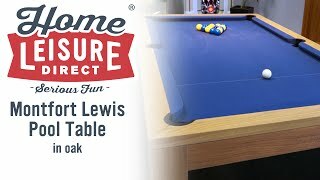 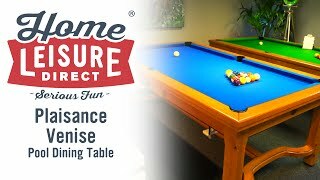 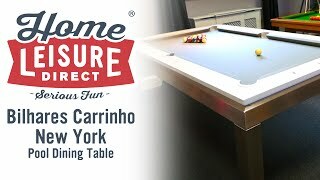 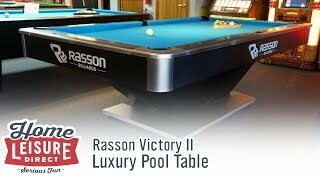 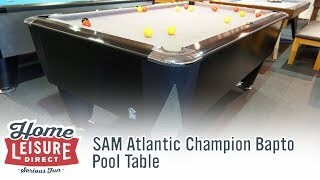 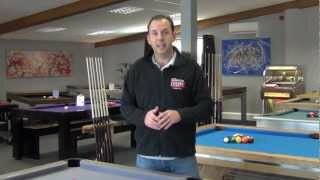 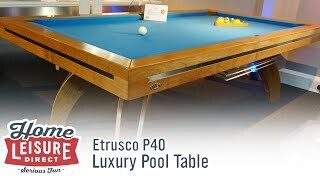 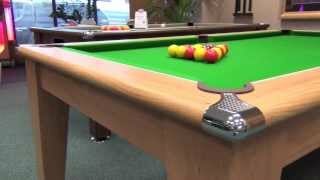 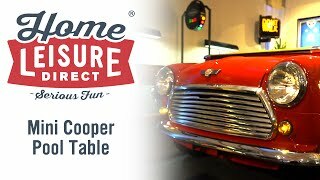 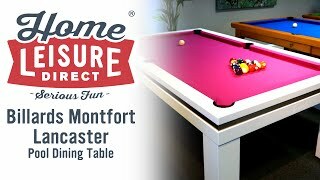 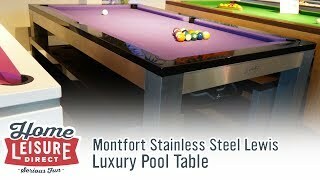 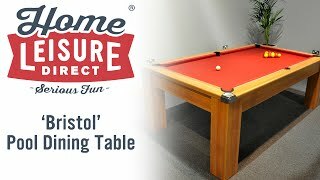 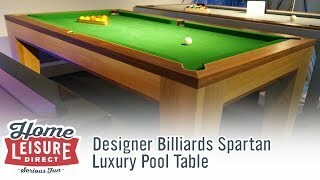 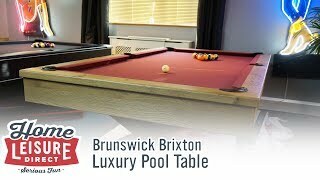 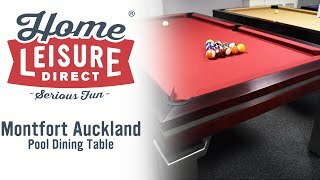 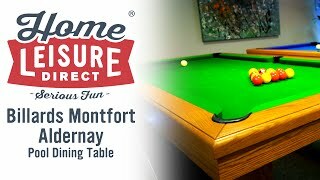 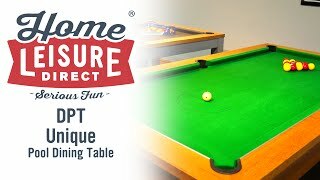 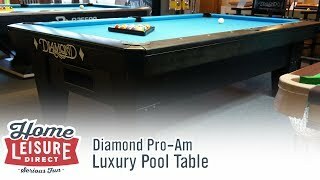 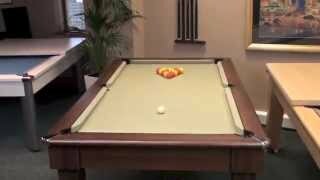 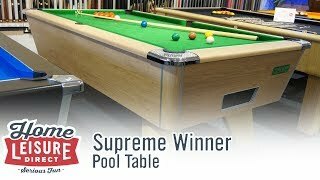 If you would like to see the Champion in person or to ask our specialist team any questions about the table, feel free to visit our Bristol showrooms.